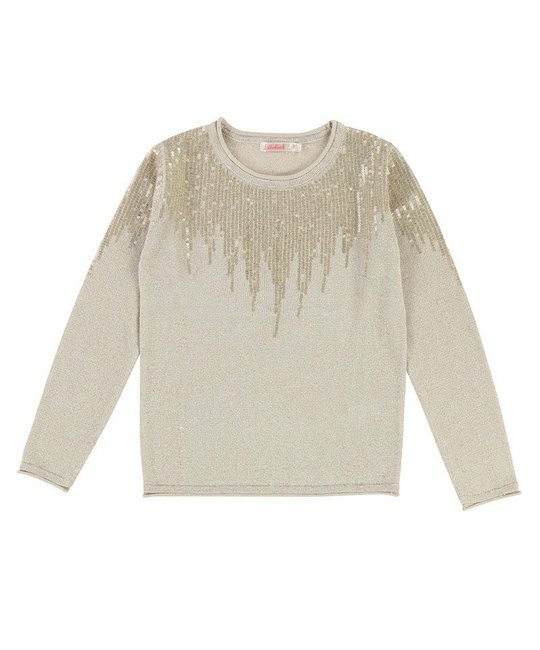 Billieblush knitted sweater with gold sequins detailing. 85% Viscose, 10% Polyester, 5% Metallised Fiber. Imported.